Welcome to Aro Hā – the world’s ultimate wellness retreat? Over 90 per cent of the electricity that Aro Ha uses is generated on site, from either solar energy or hydro power. Aside from the occasional diesel-fuel vehicle, it’s largely a fossil-fuel-free operation here. Yoga is the cornerstone of Aro Ha’s cleansing experience. 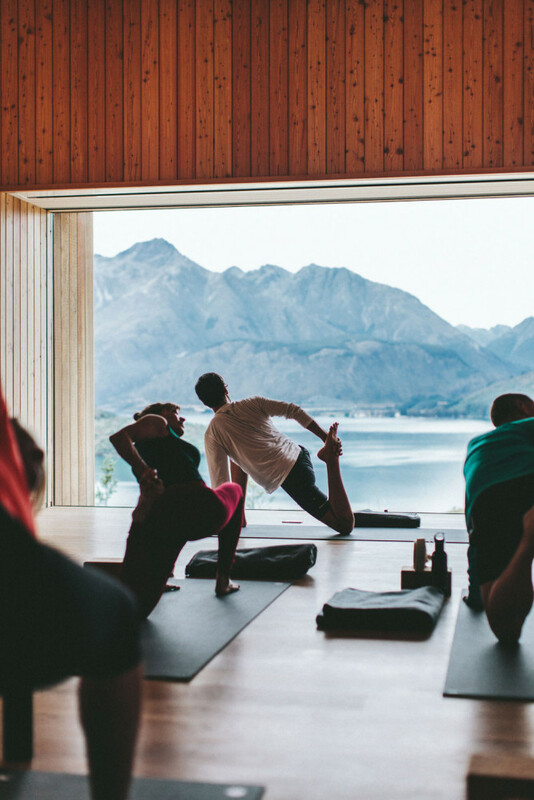 Every morning guests are invited to a sunrise yoga class in the custom-built studio – bookended by a large glass window that overlooks the lake – to breathe and bend their way into the day. There are eight timber-and-glass guest pavilions that dot the property, comprising 20 rooms. Ranging from monastic single rooms to private eco suites, all feature recycled timbers, organic cotton linen and a never-ending herbal tea supply. 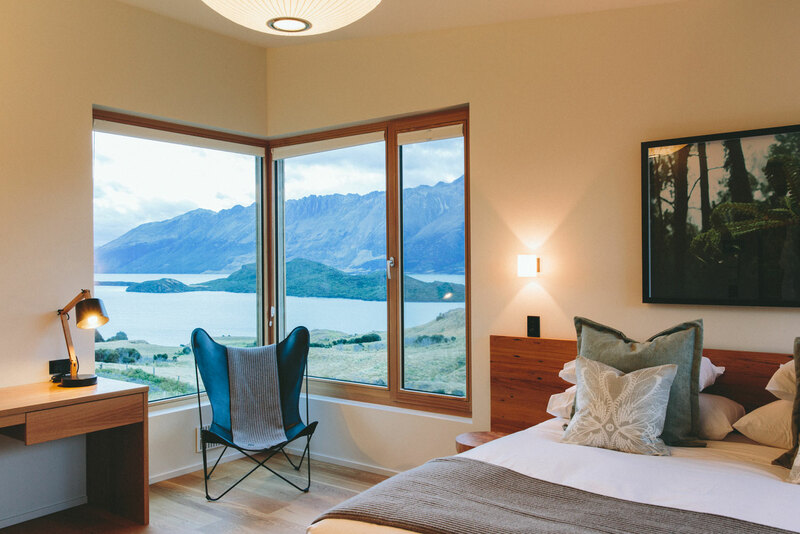 Tucked away on a sub-alpine terrace near Glenorchy (just northwest of ski mecca Queenstown), Aro Ha is surrounded by 8.5 hectares of verdant pasture overlooking Lake Wakatipu. 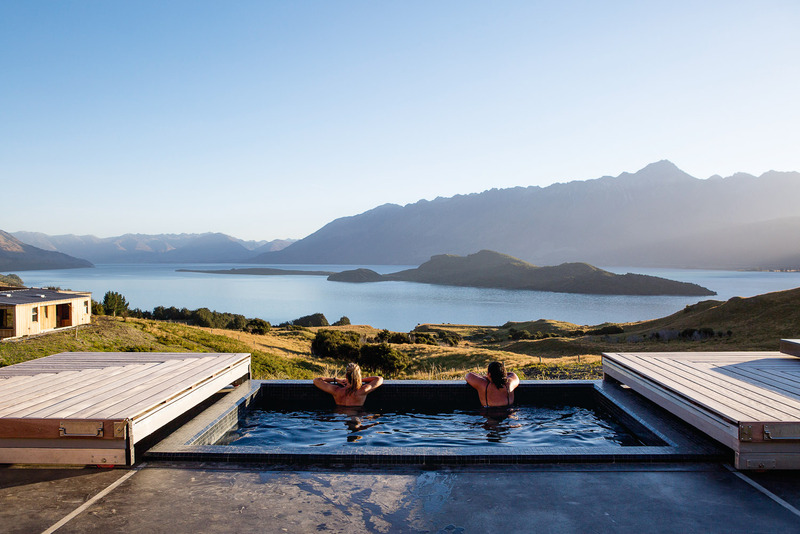 Aro Ha’s state-of-the-art spa pavilion comprises a sequence of massage rooms, bathrooms, dry Finnish sauna, infrared sauna, outdoor hot tub and ice-cold plunge pool. As pure as the air is the paleo-vegan menu. That’s no alcohol, no caffeine, no meat nor fish, no dairy, no refined sugar and no gluten. 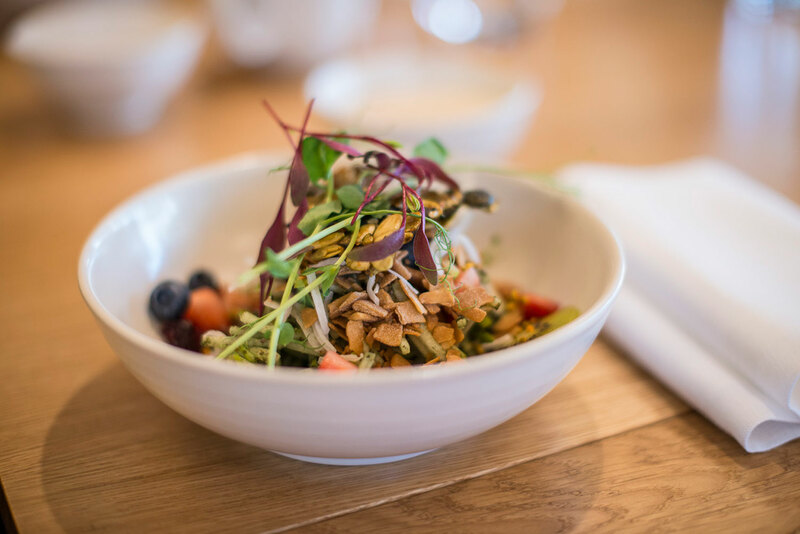 Some might say it’s a cruel twist of fate that in a country renowned for its world-class wine, lamb and cheese, a vegan health retreat should open and veto guests from such indulgences. Others, however, might say that such an establishment would be out of place anywhere else in the world. “We were drawn to the world-class nature, the hiking and the grandiose mountains here,” says Damian Chaparro, the Californian yoga guru who together with billionaire US hedge fund founder Chris Madison, has created New Zealand’s premier health escape, Aro Ha Wellness Retreat. Having spent the morning a hurried mess, darting between peak-hour Sydney traffic and email replies, I arrive at Aro Ha in time to see the Sun begin its disappearing act behind the Humboldt mountain range beyond the lake, now a rippled sheet of mauve silk. Traffic lights and electronic screens already seem far away; the silence is only interrupted by the occasional bleating of sheep in a neighbouring paddock. Though secluded, there is a growing curiosity in the outside world about this Zen-inspired hideaway. Having only opened in January 2014, Aro Ha has already been awarded a host of accolades such as being ranked eighth in the world’s top 100 hotels and resorts in Condé Nast Traveller’s 2014 Readers’ Choice Awards, raising the bar for health retreats the world over. It doesn’t take long to appreciate the appeal. As my cheeks adjust from crisp evening air outside to log-fire ambience inside the guest lounge, the distinct perfume of western red cedar, which clads each of Aro Ha’s eco-designed buildings, engulfs us. Of course, this won’t be the only adjustment during my stay. This becomes all the more perplexing when dinner is served and Rani, the Brazilian chef in his Vietnamese fisherman pants, announces, “spaghetti meatballs”. How on Earth does a raw vegan chef do a hearty Italian classic? Hand-on-heart, deliciously, that’s how. Delicate threads of spiralised zucchini substitute pasta, while tasty mushroom and walnut bundles replace traditional meatballs, doused in a spicy tomato-based purée. Surely only witchcraft could be capable of pulverising, fermenting and whisking raw plant material into a taste sensation like this? However, it’s a quality-over-quantity approach to food here – the single-course menu amounts to a daily intake of just 1600 calories (most of us usually consume well over 2000 per day). “About 35 per cent of what we serve is now coming from our organic gardens too,” beams Rani, pointing out the window to a herb garden. This percentage will continue to grow as the plants do. With the night sky now speckled in stars brighter than Sydney’s CBD, travel-weary guests are shown to their rooms. In true Aro Ha fashion, they’re not identified with anything as regimented as room numbers either, but simple illustrations of native flora and fauna. Similarly, the daily itinerary of yoga, hikes, cooking classes and therapeutic massages isn’t defined with fixed times. Sure enough, just before dawn a Chinese gong rings over the in-room loudspeaker before a voice-over: “good morning, your presence is required at the yoga studio in 10 minutes”. The classes aren’t necessarily for experienced yogis. In our class students range from an intermediate 30-something woman to a grey-haired novice. “While guests can rest and skip activities if they wish, we do encourage you to follow the entire program,” Damian carefully advises over our breakfast of raw chia coconut pudding, pointing out that guests can only stay for a fixed period of time. It’s one of Aro Ha’s more tightly reined facets. Ranging from four to six nights, hosted ‘retreats’ (which are usually capped at an intimate 16 participants) are scheduled throughout each month and necessitate everyone arriving and departing at the same time. But it’s not just our health that Aro Ha aims to heal and protect in the process; it’s also the environment. On a guided morning hike around the perimeter of Aro Ha, past its organic greenhouse, tangles of wild blackberry bush and native beech forest, we encounter its micro hydro electric system. Over 90 per cent of the electricity the property uses is created on site, from either solar energy or hydro power. Aside from the occasional diesel-fuel vehicle, it’s largely a fossil-fuel-free operation here. This minimal carbon footprint seems even more remarkable when you consider the energy required to not only cook and clean for upwards of 20 people, but also Aro Ha’s state-of-the-art spa pavilion. Inside its minimalist timber exterior is a sequence of massage rooms, bathrooms, dry Finnish sauna, infrared sauna, outdoor hot tub and ice-cold plunge pool. After being kneaded and pummelled in a post-hike, deep-tissue massage, I spend the afternoon soaking in the bubbling spa. 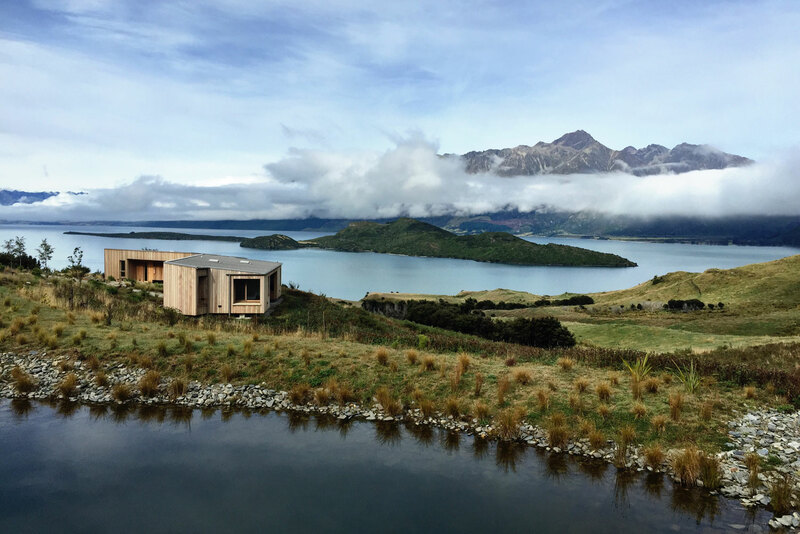 Looking out to the snow-capped mountains, the morning mist has lifted to reveal the lake is a glistening jade hue. There’s not another soul in sight bar the distant ivory specks of grazing sheep and the occasional native pigeon fluttering past. No traffic, no alarms, no distractions. Damian was right – a retreat like this befits no other place. 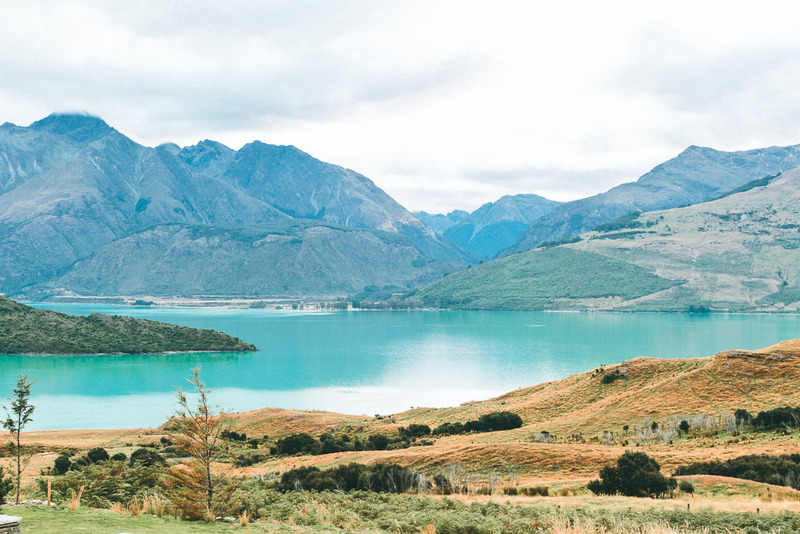 Air New Zealand operates daily flights to New Zealand from Sydney, Melbourne, Brisbane and Perth.